As an advocate for technology improvements that will benefit your agency, you rely on strong peer connections when evaluating buying decisions. You have been chosen to serve your community, but public safety and corrections technology may not be your area of expertise. To ensure that you serve the public and your public safety agencies to the best of your ability in the face of diminished budgets and an attentive public, Caliber Public Safety invites you to evaluate our trusted, cost-effective solutions for dispatch, law enforcement, and corrections. We have a legacy of enabling agencies, world-wide, to protect the lives and improve safety in the communities they serve. To learn more about our full suite of product offerings that will help you spend less time managing your software solution and more time doing what matters most to you, click on the links below or contact us for more information. InterAct Records Management System provides unsurpassed data sharing, deploys quickly, interfaces easily, upgrades effortlessly, and is exceptionally easy to use for law, fire, or EMS. A Records Management System that is configurable to each agency’s individual needs and allows for easy data extraction, filtering and sharing. Built on Microsoft’s .NET platform, TAC.10’s Records Management System harnesses the latest technology, giving you the power to control and tune the software to meet your agency’s workflow processes, protocol and procedures. InterAct Mobile applications deliver critical communications, actionable data, and situational awareness for tactical decision making and responder safety. InterAct PocketCop gives law enforcement agencies the critical information they need to protect the community and increase tactical awareness with access to NCIC, motor vehicle, and other databases on inexpensive smartphones – anytime, anywhere. JailTracker puts every aspect of offender and facility management online, from booking to GAAP-compliant accounting. TAC.10’s Jail.Net is a web-based application framework for correctional facilities, jails, and prisons that was designed from the ground up utilizing our WebOne platform. This module can stand alone or as part of an integrated suite of Law Enforcement applications such as RMS, CAD, Evidence, Investigations, Civil, and others. TAC.10’s Computed Aided Dispatch is fast, flexible, and responsive, providing a vital link between dispatch and responders. SleuthDISPATCH truly operates as command central. This dispatch solution makes tracking your calls, units, and officers stress-free. Computer Aided Dispatching by MDS offers flexible querying, searchable dispatch information, Alert/BOLO tracking and more. Cisco E-CAD (enhanced computer aided dispatch) supports the complaint-taking and dispatching functions of a public safety agency.  Global Dispatch is a configurable, easy-to-use Computer Aided Dispatch system with built-in GIS technology. TAC.10’s JMS allows corrections facilities to access inmate information quickly and easily, improving safety and security. Global Records is a complete, user-friendly, cost-effective multi-agency Records Management System with a built-in JMS. Global Justice is a high-end records management system designed exclusively for large law enforcement agencies. Sleuth’s FSG/LEMS is a set of software applications that service the Records Management needs of a City Police or County Sheriff’s Department. Cisco JAMS is a jail booking and management system that provides information on incarcerated adults and juveniles. TAC.10’s Mobile gives officers secure access to mission-critical information in real-time, improving officer and public safety.  Global Frontline takes advantage of the latest wireless networks and mobile devices, increasing public safety and security. SleuthMOBILE offers state-of-the-art capabilities on your mobile terminal. Automated tools improve processing efficiency. The FrontLine Mobile Reporting System from VisionTek provides law enforcement agencies with a tool to create their own custom reports, for both handheld devices and mobile data computers.  Global JMS is an integrated jail management system designed to be used in conjunction with our Global Records and Global Justice RMS solutions. Records Management by MDS includes accident/incident reporting, arrest and booking, arrest/search warrants, and in-car reporting. SleuthRECORDS is designed to be more than just a database. It is a powerful and flexible information management system. Cisco CAPS is a law enforcement record-keeping system with both UCR and IBR reporting capability.